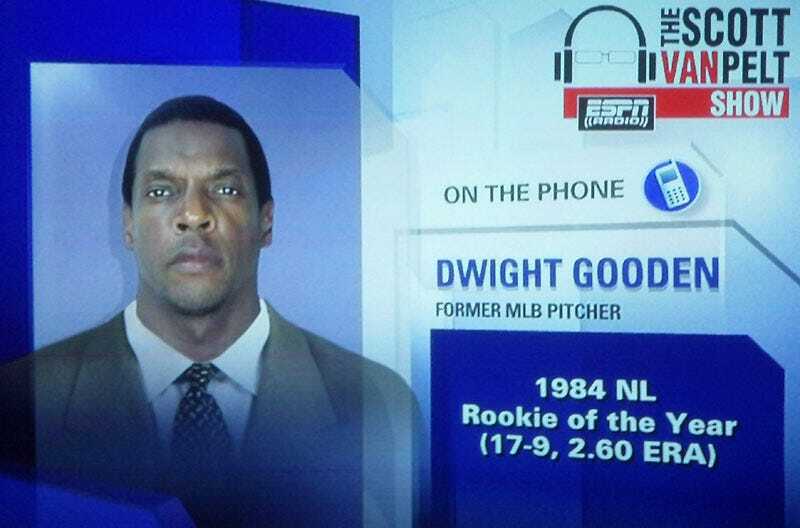 Did ESPN Photoshop Dwight Gooden's Mug Shot On To A Suit? Doc Gooden called into the Scott Van Pelt radio show today, but since it is also simulcast on ESPN2, they needed a suitable head shot to show viewers. Or failing that, a police mugshot with a suit painted over it. So the question is, whose necktied body now bears Dwight Gooden's head? Also: why is Dwight Gooden's mug shot so darn flattering? I have pictures of me actually wearing a suit that didn't turn out that nice. I guess I'm just not getting arrested in the right places.